Fans of Star Wars will love this Star Wars Death Star Satin Black Tie Bar. 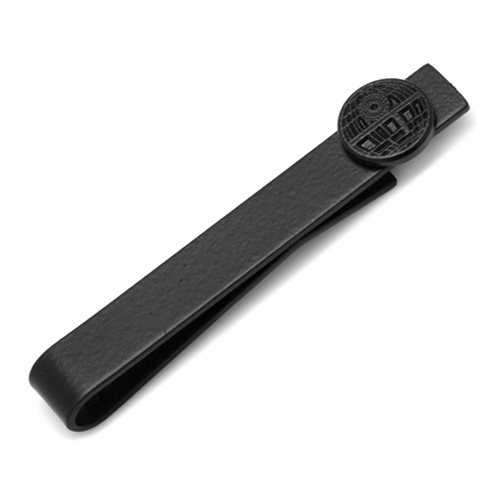 The tie bar is made of satin black plated base metal and measures about 2-inches long x 1/4-inches tall. Your friends are going to be envious of you when they see you wearing this amazing Star Wars Death Star Satin Black Tie Bar!